This month marks the publication of another book focused on the ALBA by the Latin American Council of Social Sciences, CLACSO. Dedicated to the late Jamaican academic Norman Girvan, El ALBA-TCP: Origen y fruto del nuevo regionalismo latinoamericano y caribeño (The ALBA-TCP: Origins and fruits of the new Latin American and Caribbean regionalism) is a fourteen chapter volume with a wide array of contributions split into three sections: ALBA-TCP Conceptualizations, Regionalism and Geopolitics of Natural Resources, and Venezuela and the ALBA. The volume, edited by Maribel Aponte García and Gloria Amézquita, comes hot on the heels of Aponte Garcia’s book The new strategic regionalism: The first ten years of the ALBA-TCP which was also published by CLASCO in November last year. 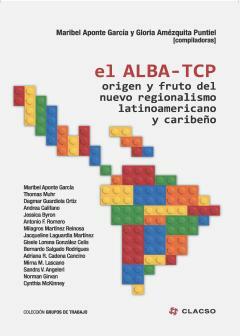 Thanks to CLASCO’s excellent commitment to open access publishing The ALBA-TCP: Origins and fruits of the new Latin American and Caribbean regionalism is available completely free as a .pdf file from their website. Those who prefer may also order paperback copies from the same page. 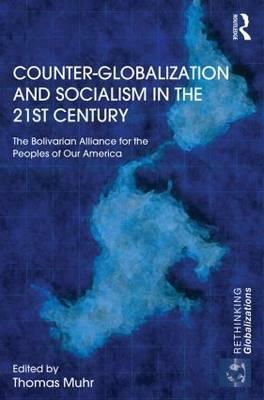 In other news the first English language academic title on the ALBA, Counter-Globalization and Socialism in the 21st Century:The Bolivarian Alliance for the Peoples of Our America edited by Thomas Muhr, is now available from Routledge as a paperback at a much more affordable price. For those interested in purchasing a copy, a flyer offering a 20% discount on this title is available from Thomas Muhr’s academia.edu page. For more information on these titles please see our books page located under the literature menu title. Can Gürcan and Bakiner’s chapter “Post-neoliberal regional integration in Latin America: Alianza Bolivariana para los Pueblos de Nuestra América (ALBA)” in David Kreps (Ed.) Gramsci and Foucault: A Reassessment. Baranyi, Feldmann and Bernier’s article “Solidarity forever? ABC, ALBA and South–South Cooperation in Haiti” in the Third World Quarterly. Lo Brutto and Vázquez Salazar’s “The Strategic Integration of Latin America: A Disputed Project” in Latin American Perspectives.